Unitech Engineering has carved a niche amongst the prestigious induction sealer manufacturers in the industry. Our continuous induction sealing machine is manufactured from the best quality raw material, which is sourced from renowned suppliers. 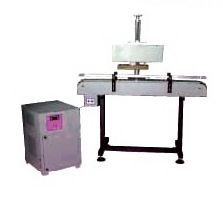 Our induction sealing machine is widely used by many well known industries located in India and abroad. We provide induction sealing machine at the most reasonable rates.